The Galaxy A90 is revealed a little more in a video that shows it from every angle. 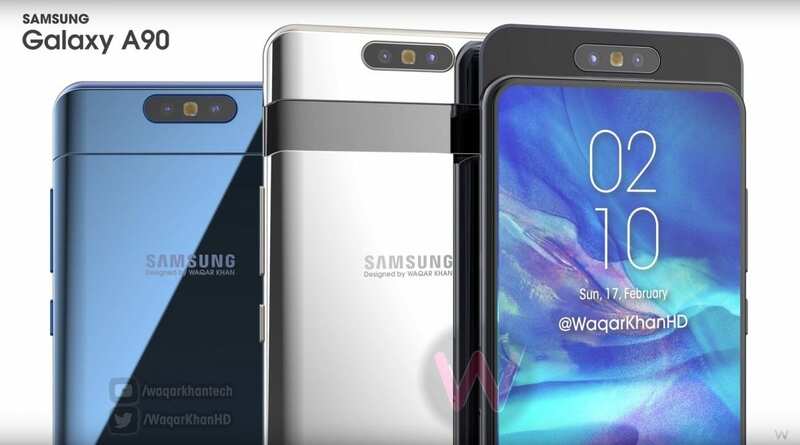 The most impressive aspect of this rendering is the retractable camera of the smartphone which would also be rotatable, which would allow to use the same module for the rear camera but also for the selfies. Part of the datasheet has also leaked. The smartphone would be equipped with a huge 6.7-inch screen and a triple photo sensor, including a 48-megapixel sensor. Samsung will hold a press conference on April 10 , an event that will be dedicated to the presentation of several mid-range smartphones. The most attractive is none other than the Galaxy A90 which will have more of a particularity. Unlike the Galaxy S10 and all its variants, this model is announced with a screen without hole or notch , in addition to being almost 100% borderless. The video relayed by the Ice Universe leaker – which is no longer present – is based on the information collected in recent weeks about the smartphone. The latest leak has appeared on the Chinese social network Weibo . 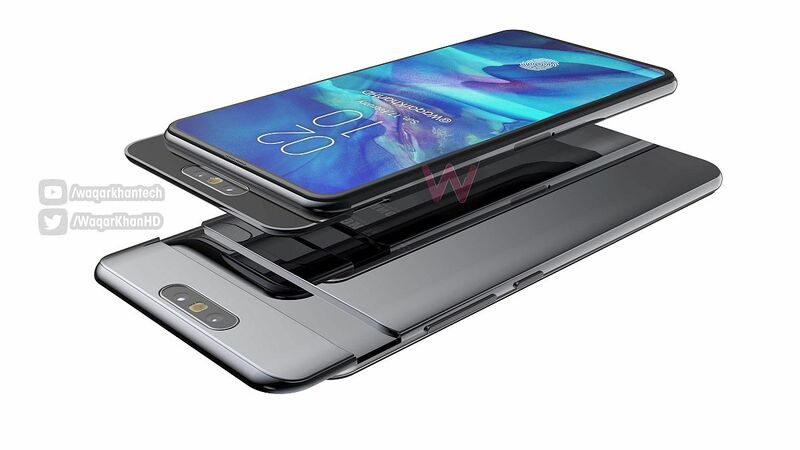 It confirms the sliding and rotating camera of the Galaxy A90 . This is not the first time we hear about it. This automatic rotation system would use the same sensor for back and front shots, as you can see in the video at the end of the article. The publication also unveils part of the Galaxy A90 datasheet. It would be equipped with a large 6.7-inch AMOLED display, Full HD + definition, but also the new Snapdragon 7150 processor whose trade name is not yet known. It is an octa-core SoC with two cores clocked at 2.2 GHz and the other six at 1.7 GHz. The triple photo sensor announced for the Galaxy A90 would include a main module of 48 MP (f / 2.0) , another of 8MP (f / 2.4) in addition to a TOF (f / 1.2). The battery itself has a capacity of 3700 mAh. Less than a week now separates us from the Samsung conference. It only remains to wait a few days to attend the official presentation of the new Galaxy A90. The Huawei P30 and P30 Pro will stand up! I have recently started a website, the info you provide on this website has helped me greatly. Thanks for all of your time & work. “Everyone is responsible and no one is to blame.” by Will Schutz.